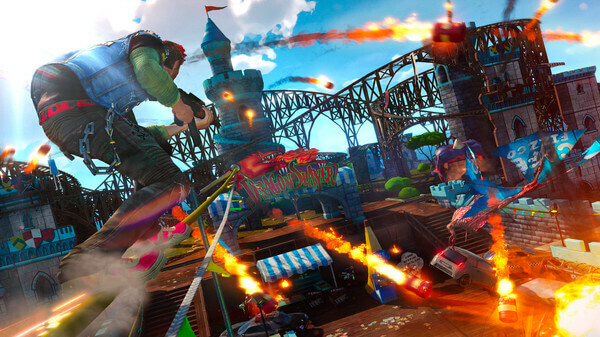 Developer of the Sunset Overdrive has released a new beta-branch update. The developer has made changes to the Mouse Sensitivity, Cyrillic Usernames/Saves, and last but not the least have removed the Min-Spec Check. To try this build , you'll have to select into the 'publictest' beta. To get the step by step instruction on how to do that, click here. • Mouse Sensitivity – We’ve made updates to how the mouse controls work to address the feedback you’ve been giving us. You will likely need to adjust your in-game mouse sensitivity after updating, but should see a noticeable improvement here. • Cyrillic Usernames/Saves – Users with Cyrillic (or non-ASCII) characters in their usernames should now be able to have saves work as expected. • Min-Spec Check – We’ve removed the block that prevented some users from entering gameplay based on how our game detected your system specs. Bypassing this may result in reduced stability or other gameplay issues for systems that are low on RAM, etc." Sunset Overdrive is available for PC and Xbox One.